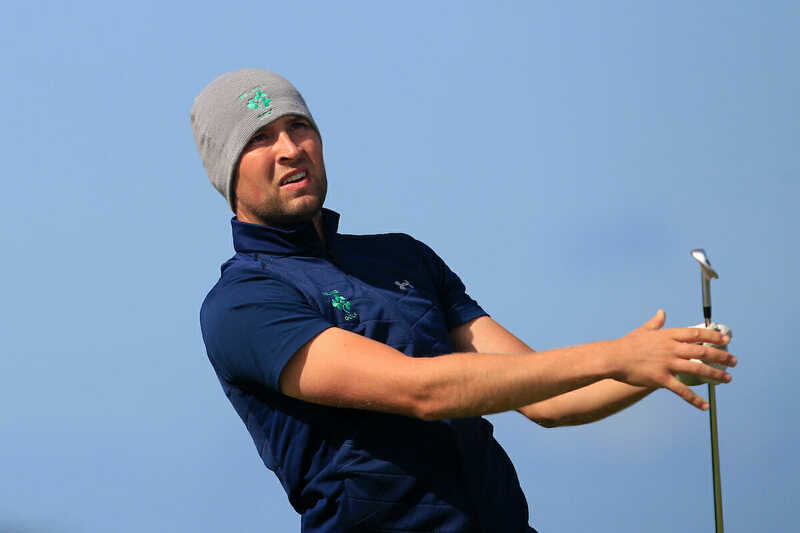 Ireland made the perfect start in their bid to win five-in-a-row at the Home Internationals with a 11.5-3.5 opening day success against Scotland. The reigning champions are vying for an unprecedented fifth straight title in Conwy this week. In their quest to retain the Raymond Trophy, Ireland began with a comfortable victory against the Scots and now face hosts Wales on day two. “It’s a great start for us. This sets us on our way,” said Ireland captain John Carroll, who used all 11 players on day one with each member contributing to the points tally. New caps James Sugrue and Ronan Mullarney enjoyed memorable debuts with two wins apiece. A commanding display in the foursomes, which saw Ireland lead 4-1 after the morning session, put the holders on track for a winning start to their title defence and another dominant performance in the singles put the result beyond doubt. Ireland’s win was confirmed when Caolan Rafferty took his match 3&1. Massereene’s Tiarnan McLarnon triumphed in the anchor leg, recording a 4&3 victory against Matt Clark at the bottom of the order, adding to earlier wins for Robin Dawson (5&3) and Conor Purcell (2&1). Jonathan Yates (5&4) produced the most convincing result of the singles, picking up four birdies in a row on his way to a 5&4 success. Ireland’s overall match points total was boosted by further wins for Sugrue (1 hole) and Mullarney (3&2). Peter O’Keeffe had to settle for a half when Jim Johnston birdied the last. Although top pair Dawson and O’Keeffe went down 3&2 against Euan McIntosh and Ryan Lumsden in the foursomes, it was plain sailing for the rest of the morning. Conor Purcell and Mark Power, another new face in the team, combined for Ireland’s first point of the day with a 5&3 success, and Ireland took all three remaining matches. Caolan Rafferty and Alex Gleeson won 3&2, Robbie Cannon – another new cap – partnered James Sugrue for a 4&2 win while Tiarnan McLarnon and Ronan Mullarney were comfortable in the bottom match, winning 6&4. In all, there were five players boasting a maximum return. In addition to Mullarney and Sugrue, Tiarnan McLarnon, Conor Purcell and Caolan Rafferty emerged from day one with two wins. Tomorrow Ireland play hosts Wales while Scotland are up against England.